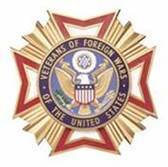 WASHINGTON (June 18, 2015) — The Veterans of Foreign Wars of the United is saluting today’s decision by the Department of Veterans Affairs to begin accepting disability claims from veterans potentially exposed to Agent Orange-contaminated aircraft in the post-Vietnam era. The decision by VA Secretary Bob McDonald could now benefit as many as 1,500 to 2,100 Air Force and Air Force Reserve personnel who might suffer from any of 14 presumptive medical conditions that have been determined to be related to Agent Orange exposure. Read more about the today’s decision at http://www.blogs.va.gov/VAntage/20825/va-expands-disability-benefits-for-air-force-personnel-exposed-to-contaminated-c-123-aircraft/. TOP (Tours Of Peace) Vietnam Veterans is an independent, nonprofit 501(c)3 organization, created in 1998 for helping veterans and families throughprograms associated with Tours Of Peace. TOP enables those impacted by war to move forward. Our Tours Of Peace include spouses, children and relatives of veterans, and those killed in action. Our logo colors are blue & green, symbolizing hope. During the Vietnam War, the time a soldier served in Vietnam was called a “tour.” Today, the time veterans and families spend in Vietnam with TOP is a “Tour Of Peace.” Through revisiting the country where it all began, seeing Vietnam as it is today, and helping others in the process, the healing begins. The Foundation is comprised of five programs: Veterans, Family, Humanitarian, Personal Effects, and Education. The programs are a result of our Tours Of Peace trips. Our approach to veteran & family recovery integrates emotional and humanitarian components. Participants revisit old military sites of personal meaning, and conduct humanitarian projects nearby. By helping others, we help ourselves. In October the Vashon-Maury Island Heritage Museum opened an exhibit about Vashon and the Vietnam War. It was dedicated to the 12 soldiers killed in the Vietnam War. It will be open on Wednesday, Saturday and Sunday from 1-4 pm. This exhibit ends February 19, 2012 (2 more months). **Sgt. Chris Gaynor from the 9th Infantry Division, 22nd Infantry Regiment put this exhibit together and is the curator. He was in III Corps area circa 1967.